Full Payment is due at the time of enrollment. Our summer is packed with fun-filled activities each day. 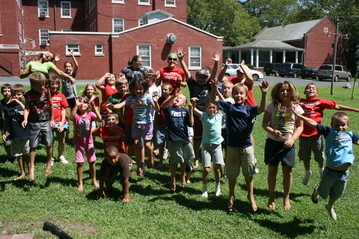 The summer camp accepts all children of school age. A bus is rented all summer long to take the campers on numerous adventures. Guest speakers are no strangers at our summer camp! "Summer Camp was a very enjoyable experience for my girls. They enjoyed all the activities as well as meeting new friends.All while learning new things in a safe friendly environment."